As time gets closer to the ELD mandate taking effect, the conversations and debates about the rule are becoming more intense. What is it about this rule which has created such intense outpouring of rage, opinion, and defiance? And what about those who “love their e-logs”? How could professional drivers have such extreme views? Let’s define the ELD, electronic logging device. An ELD synchronizes with a vehicle engine to automatically record driving time, for easier, more accurate hours of service (HOS) recording. In other words no more paper logs. So what’s not love about ELD’s? It going to make a drivers life easier? Right? Theoretically, drivers would no longer have to worry about taking time to log their miles, and when their allowed hour are up, they just “stop”. No more paper work, No more log book violations, no more forced dispatch. Trip planning might need a little more attention however, especially when the lack of truck parking continues to be one of the bigger challenges for drivers. So why are drivers so passionately against ELD’s? #The 1 reason is the 14 hour rule and racing the clock. HOS states that a driver can drive 11 hours/day and work 14hrs/day. They must take 10 consecutive hours off duty in order to drive again. A driver may not drive after 60/70 hours on duty in 7/8 consecutive days. A driver may restart a 7/8 consecutive day period after taking 34 or more consecutive hours off duty. Let’s not forget, drivers are paid by the mile and ruled by the clock. You are given x amount of time to produce your miles and no matter what obstacle comes up ( weather, truck, traffic, delays at dock, need a nap) you will not be paid unless those miles are achieved. What happens if you hit bad weather, have a maintenance issue, or they way too common long delay at the shipper/receiver? What happens if you run out of hours with paper logs? You can “fix” your paper logs. What happens if you run out of hours with ELD’s? You can’t “fix” ELD’s. The 14 hour rule– The ELD enforces this 14 hour rule! 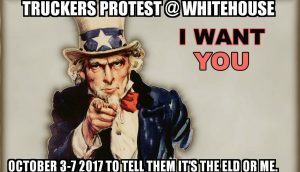 Even if you got rid of the ELD mandate, drivers are still going to have to fight the clock, being paid by the mile while governed by time. Be safe, find parking, or earn a living? In order to win the argument for ELD’s, you would need to explain the danger of the HOS rule that they enforce. Truckers earn a living based on the amount of miles they drive. They keep strict appointments to their customers. When the ability to drive miles to meet obligations are interfered with and time runs out, ELD’s can cause stress, unsafe situations, and low wages ( which equals more stress). According to the FMCSA, The electronic logging device (ELD) rule is intended to help create a safer work environment for drivers, and make it easier, faster to accurately track, manage, and share records of duty status (RODS) data. Again, ELD’s enforce Hours-of-Service regulation. (HOS). Let that sink in. One common agreement seems to be for most drivers, whether they love their e-logs or hate them, most drivers have an aversion for the 14 hour clock, the basis of the HOS rule. That rule is the 14 hour clock. Remove that one rule and production increases because we can drive and sleep as our body needs not as the clock dictates. Question: Why do you think #drivers rush more with an #ELD ? Is it to get more miles? Pushed by dispatch? Shot in the arm for the ELD fight: Mr. Justice joins Mr. Reed, others with sights on D.C. Here are some comments on the ELD or ME Facbook group page. There are hundreds of comments, I just chose a few. 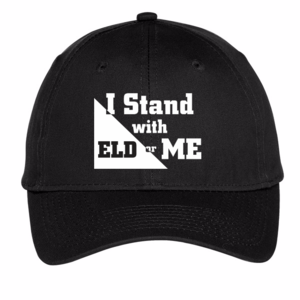 I suggest you go to the page and join if you are anti ELD. The group was started by Scott Reed and Tony Justice just a few short weeks ago and has around 16,000 people in it already. Angel Sturgill I didn’t run straight out illegal. But having that flexibility that you could fix the logs was a lot less stressful than watching your various clocks tick off. It changes your mentality. Just like it is proven that you spend more money using plastic than you do if you hand over cash. It changes your mentality. ELD’s do the same thing. For some reason it amps up the stress level. I began to drive more aggressively and became more stressed. The horrible feeling that you feel when a dispatcher is constantly interrogating you about your time. All adds to the stress. The paper logs added that flexibility when you needed to park someplace safe and didn’t want to start your clock. We are miles driven pay, but we work in hourly increments. If the government is going to force us to run hourly, then they also need to force our pay to be hourly. But as with hourly employees, the culture/mentality/work ethic begins to change. It is sad. John Taylor This the only industry that begs and pleads to work harder and harder. Just to work themselves into a grave 10 years sooner. Just to make a few cents more. Jeff Clark The sad thing is that if we expand the 14 hour rule is that we will just end up giving it away to the docks that will waste it. For years we have complained about these docks. We have falsified our logs more to cover for these people than to slow down or make more money. Scott Jordan I run ELD’s but am strongly opposed to Forced ELD’s. I have stated strong opinions on both side. Scott M. Reed even disagreed with a couple. I think they are doing the best they can with the rapid growth. Here is an idea, we either jump on board and support this cause for freedom or just hand them our keys. PRO-ELD or No -ELD either way, forced ELD and inflexible HOS is the issue at hand. my hubby keeps going round and round with his boss over the ELDs…. he keeps trying to explain that *fixing* the logs is going to leave an electronic trail, and bossman doesn’t think so….. HIS thinking is that instead of the drivers fixing their logs, now it will be the bossman doing it…..just read on the FMCSA website that ALL editing must be approved and resubmitted by the driver, no matter WHO does it, and there is a permanent electronic trail showing all original entries…. i hope bossman likes orange, because have a feeling he’s gonna be wearing it…..